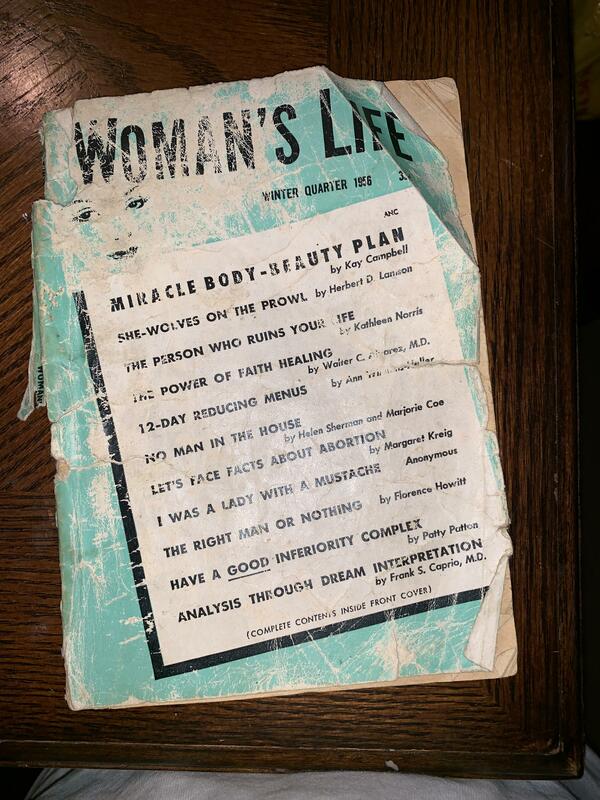 This book, Woman's Life, written in 1956, contains various stories of a womans everyday life. Additionally, this book is a guide for women and teaches them how to cope with every day life. Essentially, the stories told in this book varies differently from todays norms and values. 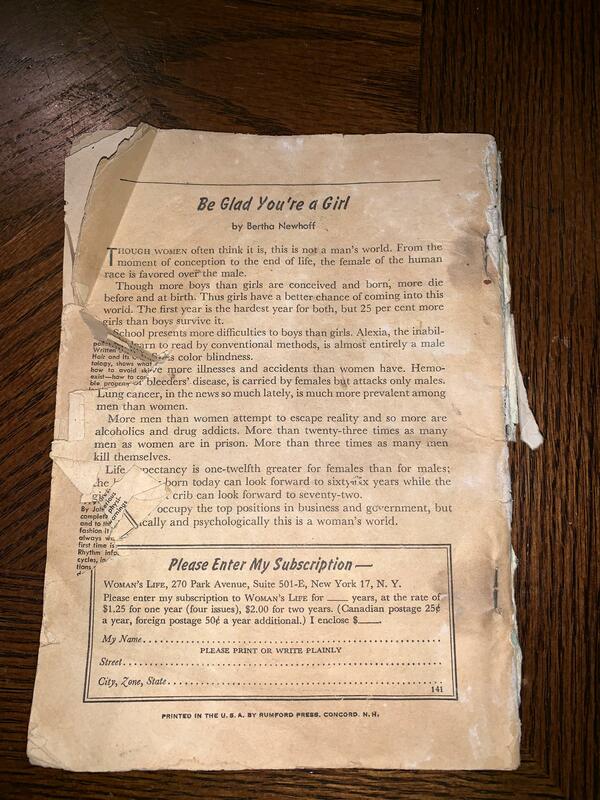 1950s women's guide to life.